We are living in a time of both political and economic uncertainty in the UK, as the fall out from the Brexit vote continues. However, Brits should remember that the country has overcome worse problems in the past, and should be able to weather the storm. Despite Brexit, there remains a lot to stay positive about; we see it on a daily basis with our clients who are continuing to thrive despite the uncertainty ahead. Just within our own sector, we have seen that businesses are already responding in kind to the ‘sticky situation’ which the Brexit aftermath presents for those with international commercial interests. In the rapidly evolving digital world, we have seen many business owners make great strides. It all goes to show that with Brexit, we are where we are; those who react to the disruption the fastest, and are willing to use innovation and look ahead and digitally in order to make a difference, are likely to be among the firms which come out of the other side stronger. How can we spot a ‘Brexit-proof’ business? Among our clients, we are good at spotting those who are primed for a challenging business landscape. There are generally three factors which demonstrate this to us. The first is good owners; ones with the foresight to look at the bigger picture, and understand the cyclical nature of business. These are the type of leaders who can navigate through the tough times, while looking ahead to the better times. The second factor is the product or service itself. If what is being offered is quality, unique and delivers value, it is in better shape for the long haul. The third important factor we are able to spot might be the most important because, without it, the first two factors can prove ineffective. This is the ability to use innovation and find the ideal route to market. That, of course, is our job here at Digital Next, and we have now helped thousands of companies to do this. Before coming to us, these companies often struggled to realise the full potential of their online marketplace. They hadn’t been reaping the benefits of strategies such as SEO, Google Ads and social media, and because of this had not achieved the differentiation of their product from a rival or competitor. In the face of Brexit, being able to continue to sell both in the UK and abroad is a crucial achievement, and it’s something that we have helped our clients to do time and time again. What’s more, it’s how we’ve grown our own business to international level, operating in Australia and the UAE as well as the UK. Over the past few years, it has been very gratifying to see the work of our team recognised with esteemed awards from the Northern Tech awards, in which we came 63rdout of the top 100 fastest growing tech companies. We also gained Google Premier Partner status, which is a testament to the quality of our Google teams. This week we are thrilled to have been shortlisted for the 2019 International and Family Business of the Year award. This is not only a testament to our performance in the UK, but also in the UAE and Australia. Of course, we see the most important successes as being achieved by our clients, and believe that this is the barometer by which our team should be judged. So when you can work with a team which combines some of the best skilled and commercial minds in the North West, who are proven to be adept campaign operators, Brexit needn’t be so bad! What else have we been up to? National recognition in our working partnership with EE. Celebrating 5 years as a founder member of the Sharp Project which was a local government and European funded digital initiative. It was voted as one of the best spaces in the UK to work. 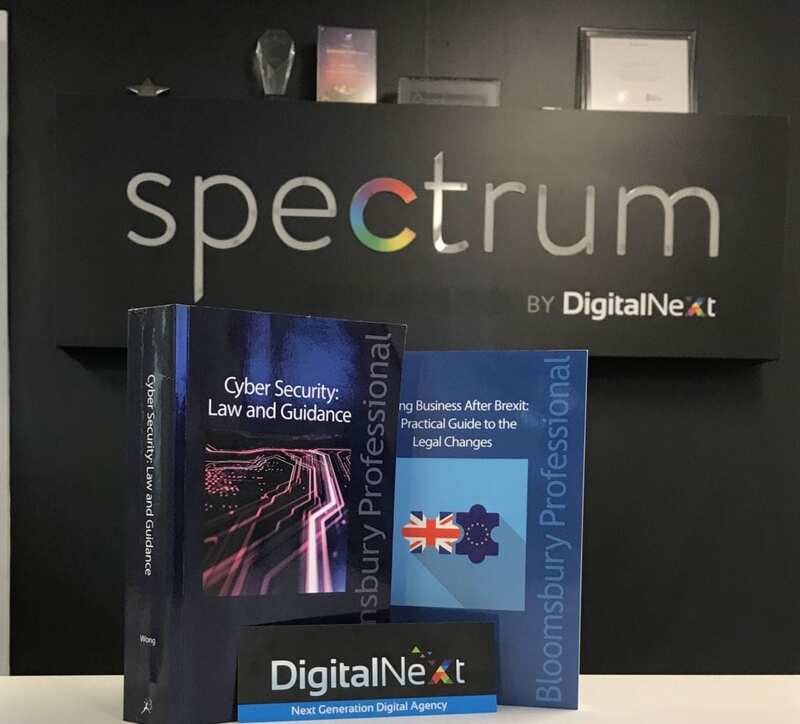 We also want to say a big thank you to Andy Hill and Helen Wong of the fantastic publisher Bloomsbury Professional PLC, who approached us in the last year to feature in two books; Doing Business After Brexit, and Cyber Security. We contributed to one of the leading books on Brexit, trying to uncover the world of digital opportunity and encourage business owners and brands to look ahead and transform their company. Our experience has taught us that to succeed in future innovation, use of technology and great marketing practice will pay dividends. We don’t focus on the negatives of Brexit, instead viewing it as a time to review the position of your business right now and where to go next. 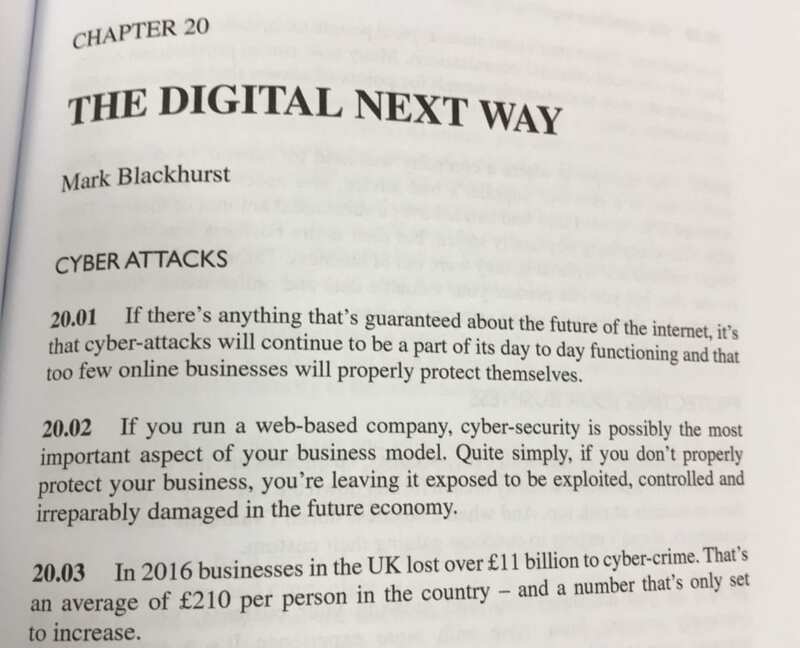 In the fascinating Cyber Security book, we contributed a chapter titled “The Digital Next Way.” In this, we underline that good, all-round digital practice is key. We show how we bring not only great marketing skills to the fore, but also that cyber security underpins every step in working with us at Digital Next; that is a great difference between us and the majority of other agencies. We take careful measures and thought leadership to ensure our clients are not exploited, controlled or irreparably damaged. When you make serious investment into your website with a new build or further development, and are using marketing campaigns such as Google Ads, Facebook or other social media, we are there to guide and protect your investment. So, to kickstart your online success even in the face of Brexit, get in touch today. Did you find out everything you wanted to know? If not, get in touch to find out more! I give permission to Digital Next to contact me in the future with any updates, promotions or offer. Copyright © 2019 Digital Next. All rights reserved.